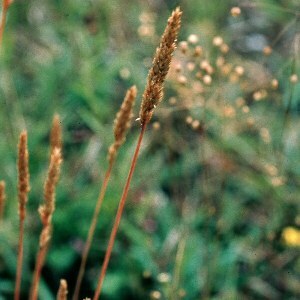 A tufted perennial grass, about 6-10 inches in height, with short, usually narrow and inrolled leaves, and a rather dense silvery purple or green inflorescence. 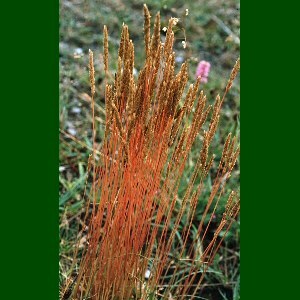 In dry short turf; frequent on sand dunes or calcareous ground near the coast. All names: Koeleria macrantha sens. lat. (Ledeb.) Schultes; Koeleria cristata (L.) Pers. ; Koeleria pseudocristata Domin. ; Koeleria supra-arenaria Domin. ; Koeleria britannica Domin. ; Koeleria mixta Domin. ; Koeleria glauca auct. ; Koeleria albescens auct. ; Koeleria gracilis Pers.